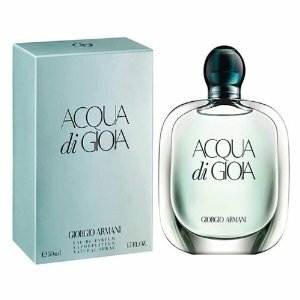 This fresh, aquatic fragrance, whose name means, "water of joy," captures the simple happiness one can experience at this extraordinary destination. The fragrance's top notes rise like a soft sea breeze, bringing forward a sensual blend of cool mint, warm brown sugar, and the zest of Italian lemon. Next, the heart notes emerge with beautiful floral hints of jasmine, dew of peony, and traces of pink pepper. The base lingers on a uniquely Mediterranean trail of cedar wood and the complex, herbaceous accords of labdanum.